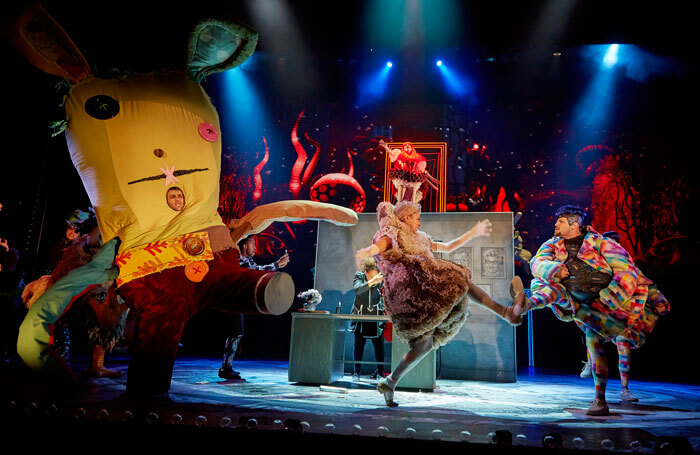 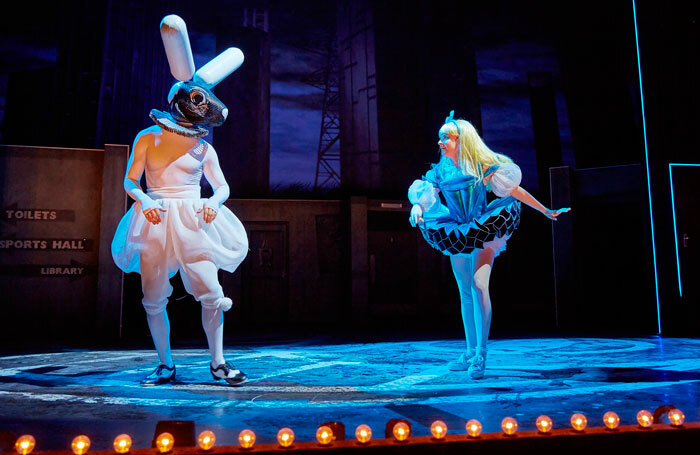 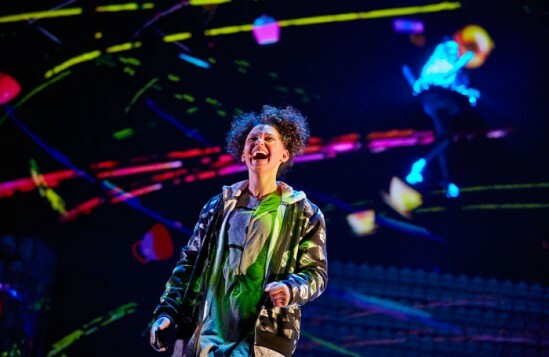 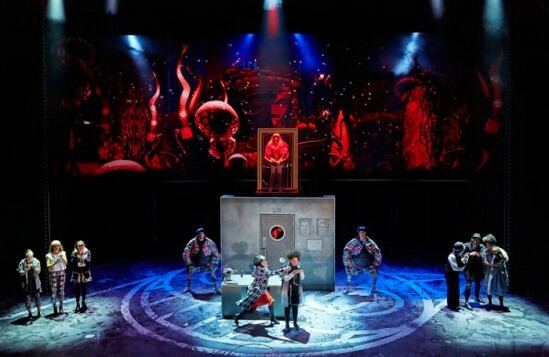 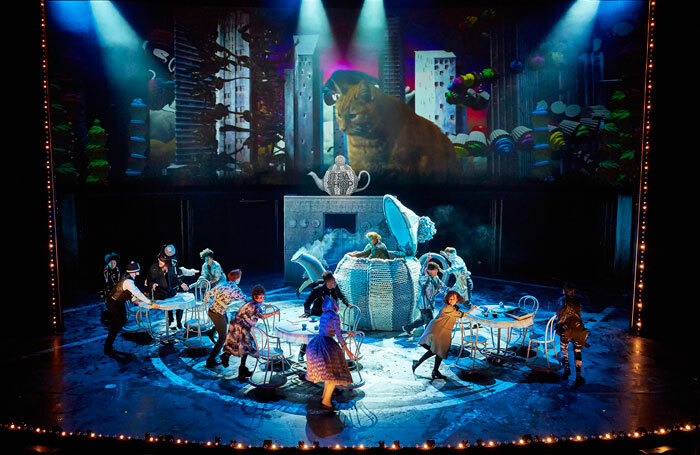 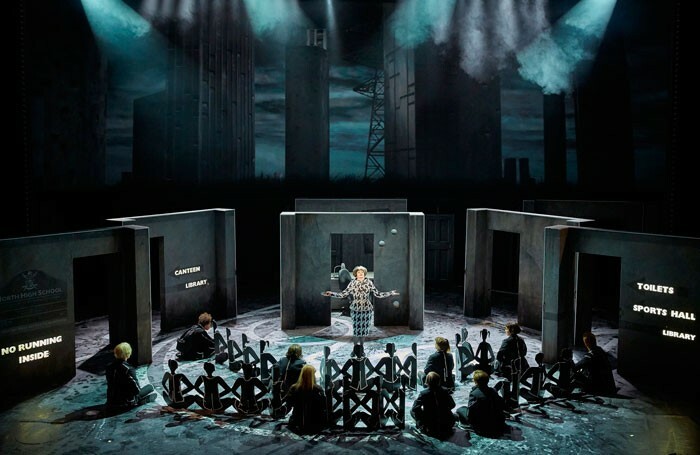 After two operas for the Manchester International Festival in 2007 and 2011, composer (and pop maverick) Damon Albarn returns to Manchester to headline the 2013 festival with his first stage musical, Wonder.land, and it is as playful as it is frequently peculiar. 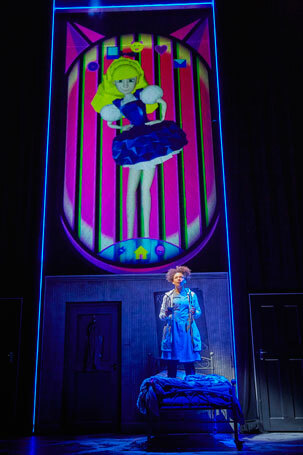 Inspired by Lewis Carroll’s Alice’s Adventures in Wonderland, book writer Moira Buffini sets it in the modern digital age, in which Alice is the online avatar creation of a serially bullied young schoolgirl, Aly, who creates an alternate life for herself online. But if she can’t escape the online bullying of her classmates, she encounters a more extreme version of bullying and manipulation in her parallel life, when her avatar becomes the victim of an identity theft after her school teacher Ms Manxome (a properly sinister Anna Francolini) confiscates her mobile phone and starts playing the game for herself. 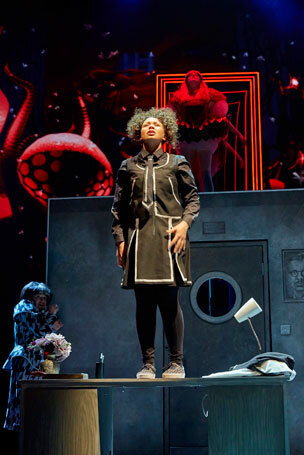 There are echoes of Matilda’s Miss Trunchbull here: someone who is supposed to be a carer and educator turns out be her biggest adversary; another echo is the damaged home life Aly comes from, for which she here has absorbed the blame of her parents’ marital breakdown after she exposed the extent of her dad’s gambling addiction. 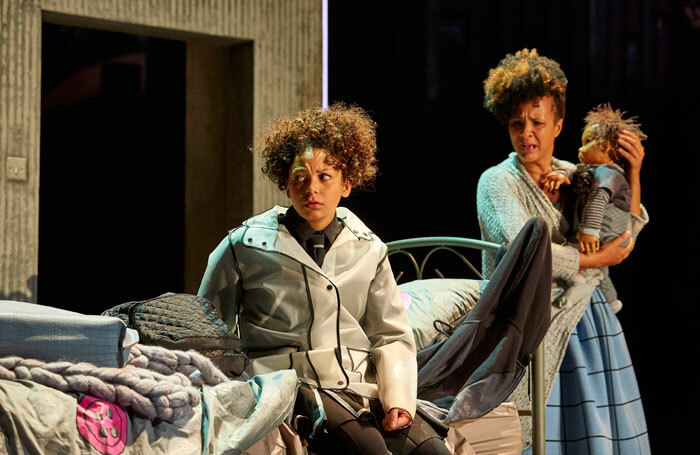 Aly is played with a tender vulnerability by Lois Chimimba, and Golda Rosheuvel and Paul Hilton as her parents register their own private and public griefs powerfully. 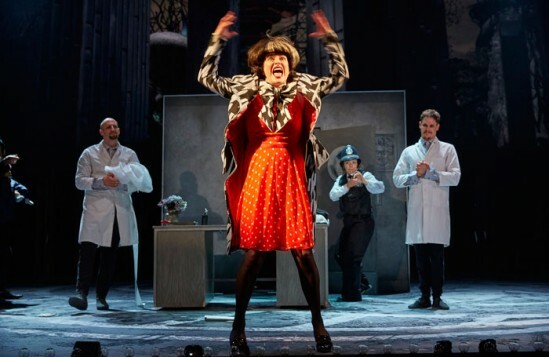 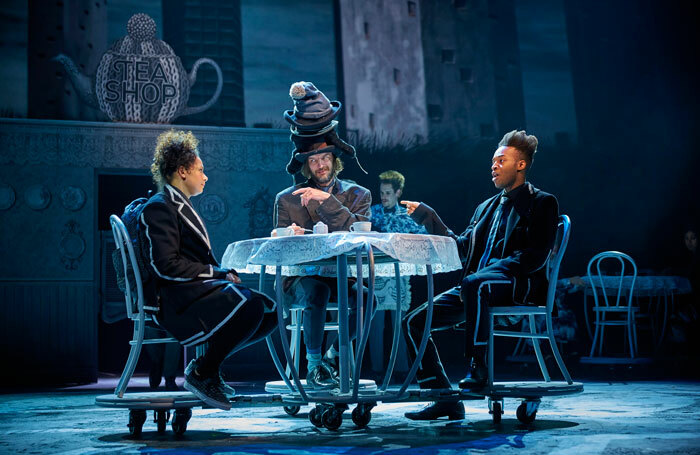 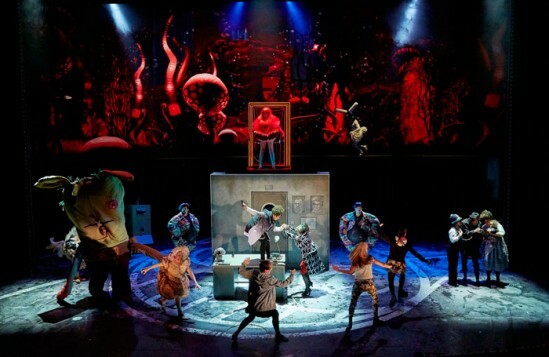 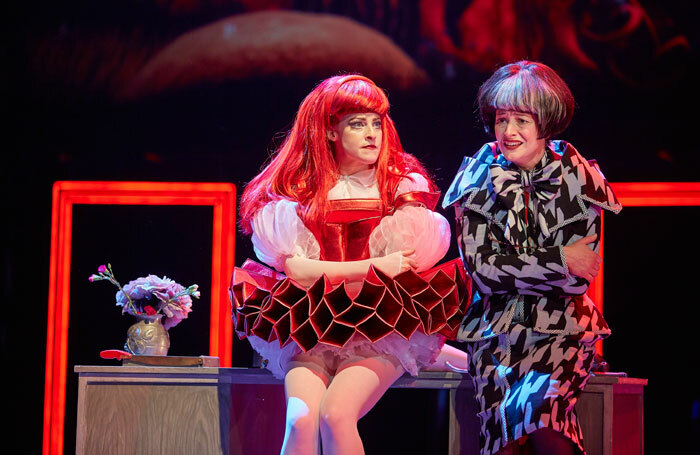 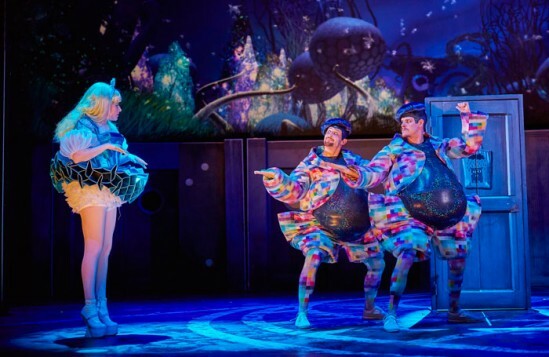 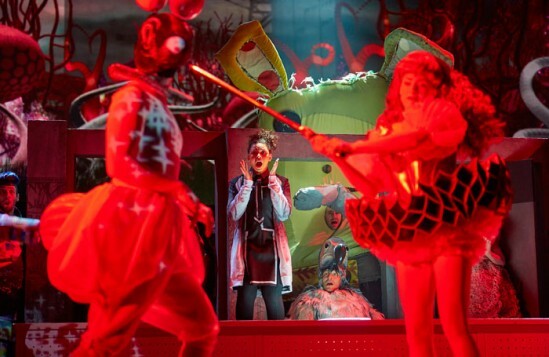 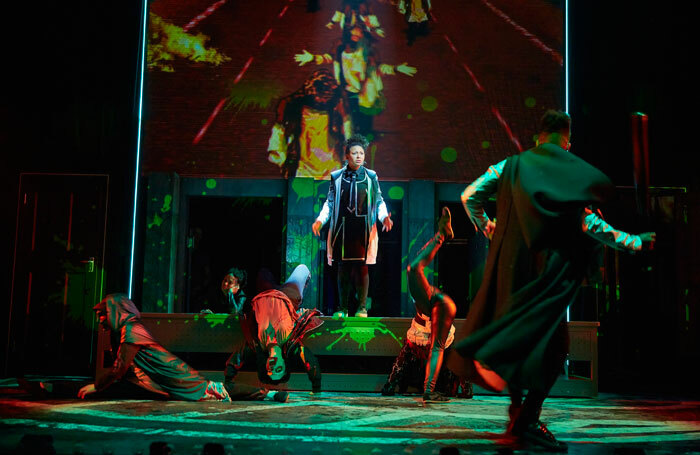 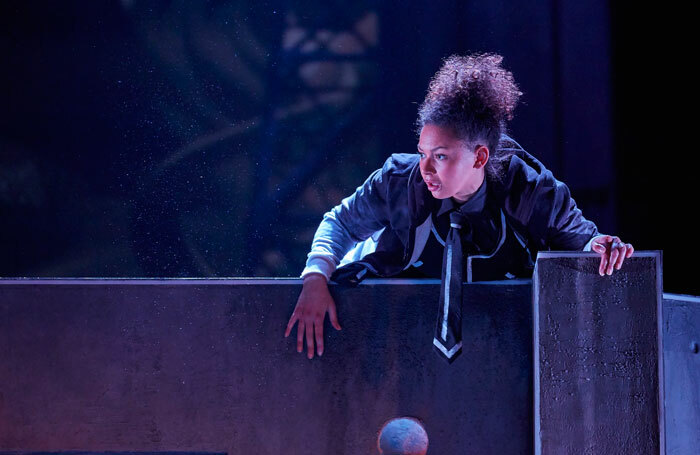 But the show’s tone overall is far darker and more fantastically strange than Matilda, as it instead also recalls Sondheim and Lapine’s Into the Woods. 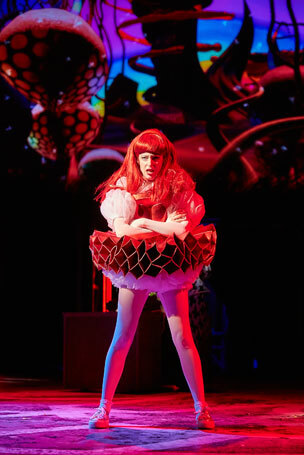 That show famously sent characters from different fairy stories (and a newly invented one) on a collision course with each other, and here we’re invited to follow Aly’s avatar, Alice, into a surreally realised journey to Wonderland. It is here Rufus Norris’ production comes fully and imaginatively alive, with brilliantly vivid projections (courtesy of 59 Productions) and Katrina Lindsay’s stunningly costumed creatures from Wonderland including a giant caterpillar (made up of four actors, led from the front by Hal Fowler), an athletic white rabbit (Rob Compton) and others coming to thrilling 3D life. 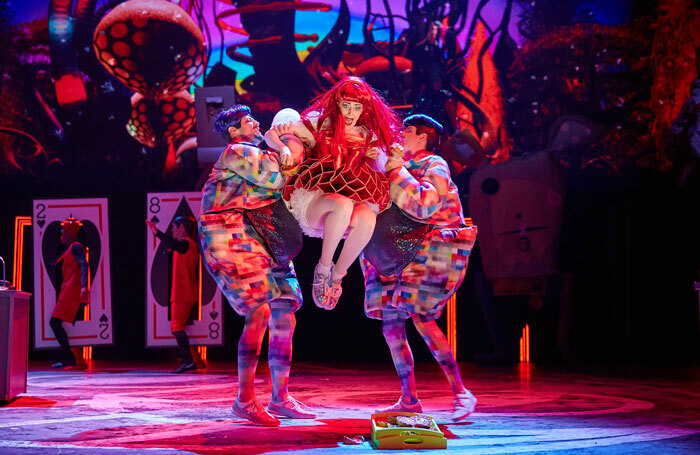 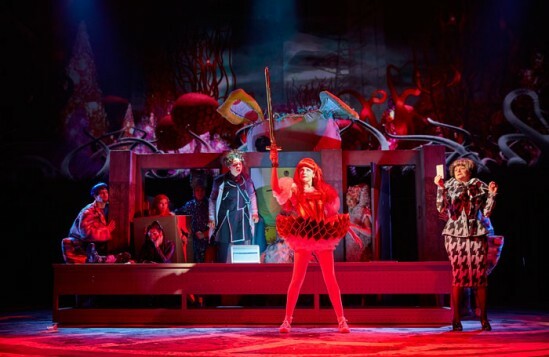 The extraordinary Rosalie Craig once again soars over it all – in every sense – as Alice, just as she was constantly kept afloat throughout The Light Princess at the National. There are other times, though, that Norris’ own prior involvement with the most radical new British musical of the century, London Road, are also strangely apparent, with some of Albarn’s songs feeling oddly like they’re being set to verbatim lyrics that voice real words once spoken by the characters. 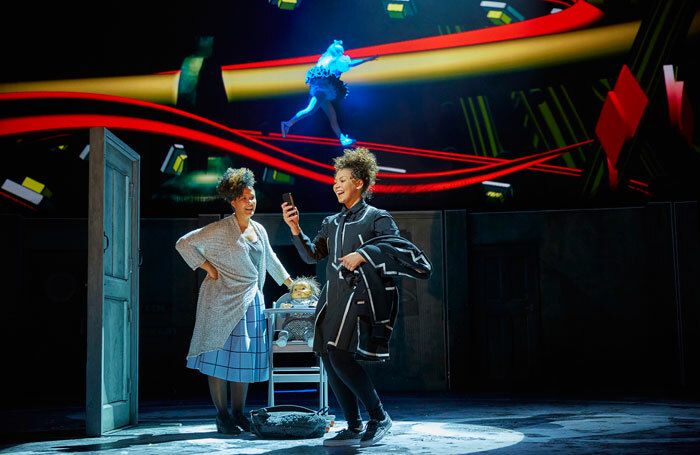 None of the music, at least on first hearing, matches that of London Road for impact or Matilda for tunefulness, though I’d like to hear it again. 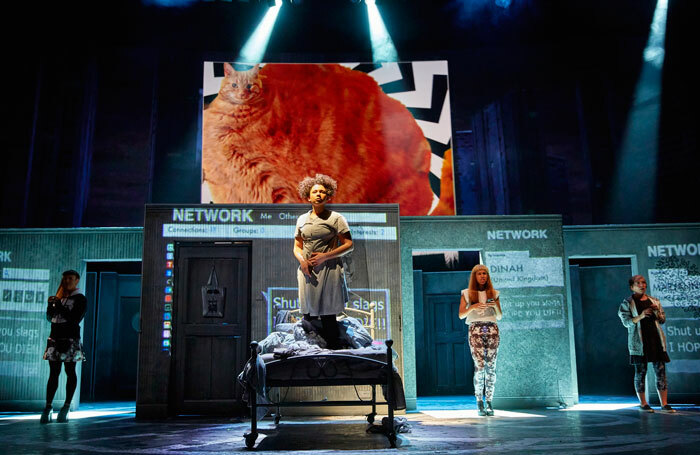 There are still tweaks and cuts to be made to clarify and shape it, and with a transfer to the National’s Olivier Theatre already booked for the end of November and Paris to follow, this is only the first pass at making the show work. I’ll be intrigued to revisit it in a few months time.